Yesterday, the president didn’t just reduce the boundaries of your public lands. He revoked two national monuments. No president has ever done that before. It is widely unpopular and unprecedented. It is also illegal, and Patagonia will be challenging his action in court. TRUMP: And that is why I’m here today: Because some people think that the natural resources of Utah should be controlled by a small handful of very distant bureaucrats located in Washington. And guess what? They’re wrong. TRUTH: National Monuments are managed by public servants that live and work in the surrounding county, and that wasn’t changed by President Obama’s action or President Trump’s action. And when Secretary Zinke asked the country what they wanted, 98% of almost 3 million people said to leave the protections in place. TRUMP: … I’m a real estate developer. When they start talking about millions of acres, I say, say it again? That’s a lot. So, before I began, I met with Senator Orrin Hatch, who loves Utah and loves the people of Utah. I called Senator Mike Lee, who loves Utah and loves the people of Utah. I called your governor … I called all of the friends that I have in Utah. I said, what do you think? I said, will this be good for our country, and will it be good for your state? They said this would be incredible for our country, will be incredible for Utah. Finally, you would be giving people back their access to the land they know, to the land they understand, and most importantly, to the land that they love. TRUTH: Eliminating national monument protections opens these areas to mining, oil and gas development, road building and other destruction. It’s incontrovertible that selling off the rights to these lands benefits the few and not the many. TRUMP: These actions will modify the national monuments designations of both Bears Ears and Grand Staircase-Escalante. 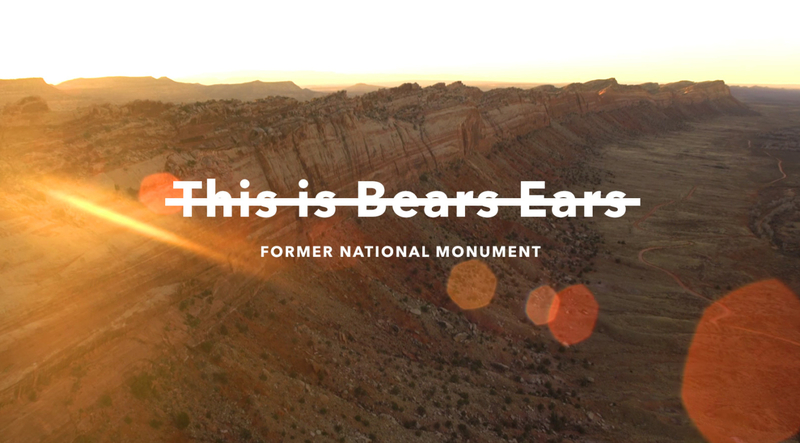 TRUTH: The president is not modifying Bears Ears and Grand Staircase-Escalante Monuments. He is rescinding them. See map here. TRUMP: As many of you know, past administrations have severely abused the purpose, spirit, and intent of a century-old law known as the Antiquities Act. This law requires that only the smallest necessary area be set aside for special protection as national monuments. Unfortunately, previous administrations have ignored the standard and used the law to lock up hundreds of millions of acres of land and water under strict government control. TRUTH: Since it was signed into law by Teddy Roosevelt, presidents of both parties have used the Antiquities Act to protect some of America’s most prized outdoor spaces. Thanks to the Antiquities Act, the Grand Canyon, Olympic, Acadia, Arches, and dozens of other national parks were first protected. Of America’s 59 national parks, 28 were first protected or expanded as national monuments by presidents under the Antiquities Act. Furthermore, not only do protected public lands power an $887 billion outdoor economy and support 7.6 million jobs, but protected areas also significantly boost the economies of communities nearby. Studies show that rural areas in the West close to protected federal lands perform better on average than areas without protected federal lands in a variety of economic measures, including per capita income and employment. TRUMP: Here, and in other affected states, we have seen harmful and unnecessary restrictions on hunting, ranching, and responsible economic development. We have seen grazing restrictions prevent ranching families from passing their businesses and beloved heritage on to the children—the children that they love. TRUTH: Hunting and ranching is allowed at both the Bears Ears and the Grand Staircase Escalante National Monuments. 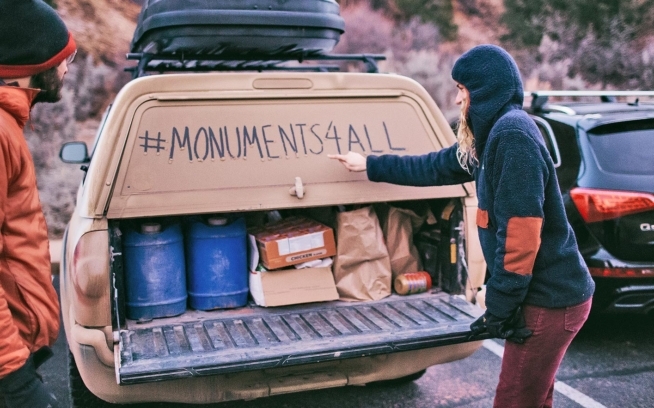 National Monument status only prevents new drilling, mining and fracking. In fact, Secretary Zinke’s own briefing materials indicate that grazing inside of Grand Staircase-Escalante National Monument has not changed since the late-1990s, when it was initially protected. And sportsmen’s groups have continually advocated for protecting prime hunting lands as national monuments to ensure high-quality habitat is maintained into the future. TRUMP: We have seen how this tragic federal overreach prevents many Native Americans from having their rightful voice over the sacred land where they practice their most important ancestral and religious traditions. On Dec. 4, 2017, the Navajo Nation vowed to challenge President Trump’s action in court. 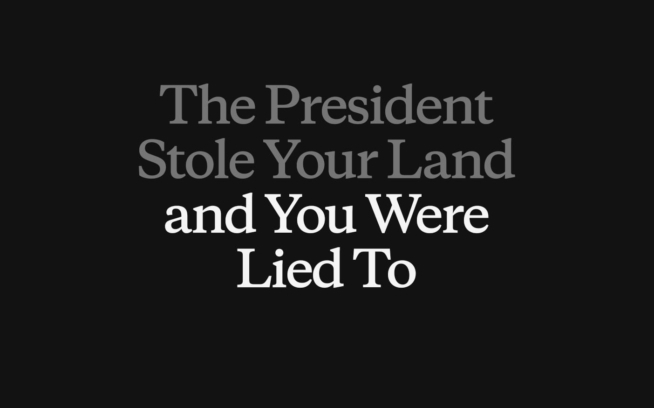 “We will stand and fight all the way,” said Russell Begaye, president of the Navajo Nation, adding that the United States government had already taken “millions of acres of my people’s land.” “We have suffered enough,” he said. TRUMP: These abuses of the Antiquities Act have not just threatened your local economies; they’ve threatened your very way of life. They’ve threatened your hearts. 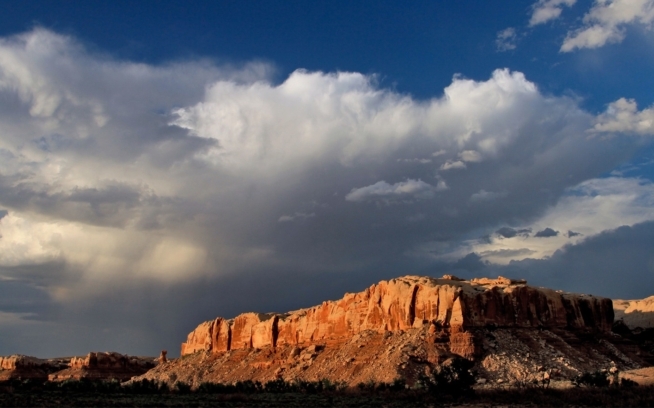 TRUTH: Protected lands are a proven economic driver in Utah. The communities around the Grand Staircase Escalante National Monument have seen robust growth since the area was first protected in 1996. Just from 2000 to 2015, the local communities saw jobs grow by 24%, real income grew by 34%, and per capita income grew by 17%. Multiple new hotels and businesses have opened in recent years. TRUMP: Our precious national treasures must be protected. And they, from now on, will be protected. TRUTH: With his action, President Trump ordered the largest elimination of protections for public lands in our country’s history. Revoking Bears Ears and Grand Staircase-Escalante National Monuments removes protections from national treasures and could lead to their permanent destruction. We need more protected land, not less. To learn more and take action, visit patagonia.com/protect-public-lands.